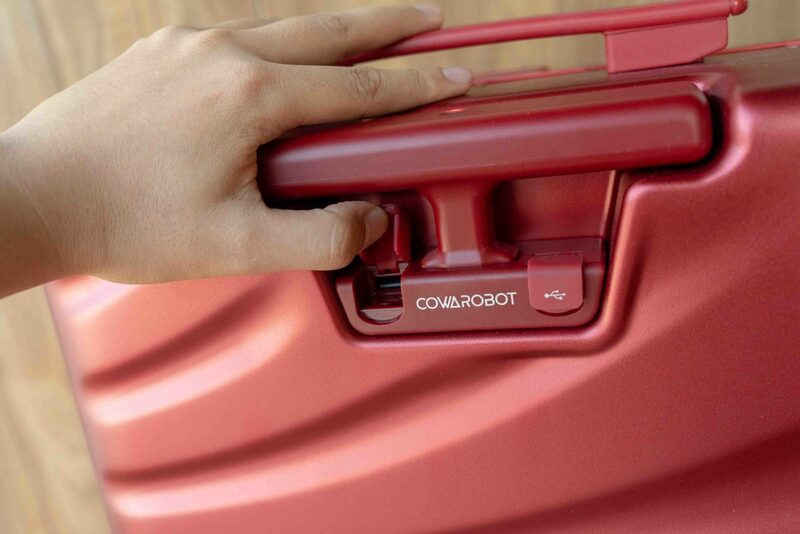 Automation is coming for humans in 2018 and even the suitcases are getting techie. 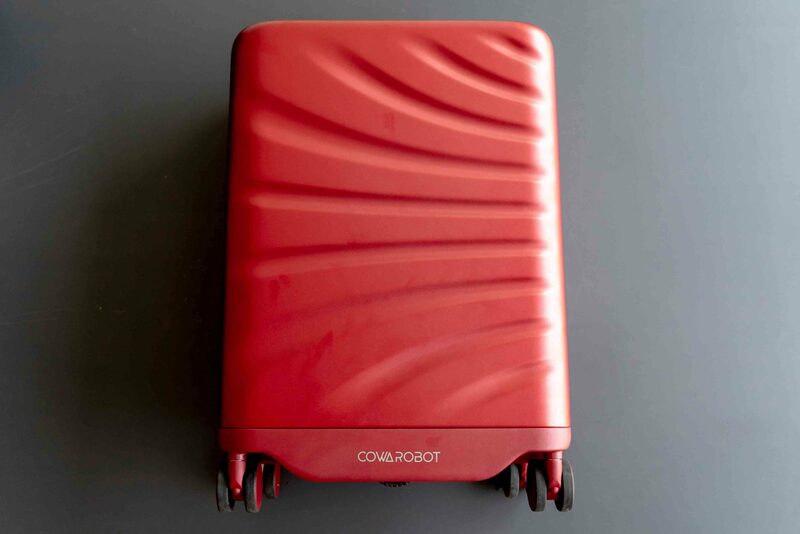 Earlier this year, we came across Cowarobot Rover’s mind boggling video, where a suitcase follows the user around like a pet. Now we finally got our hands on it. Despite many claims it’s a fake video made with camera tricks, the suitcase does follow the user as we’ve seen. The tech is actually pretty straight forward. 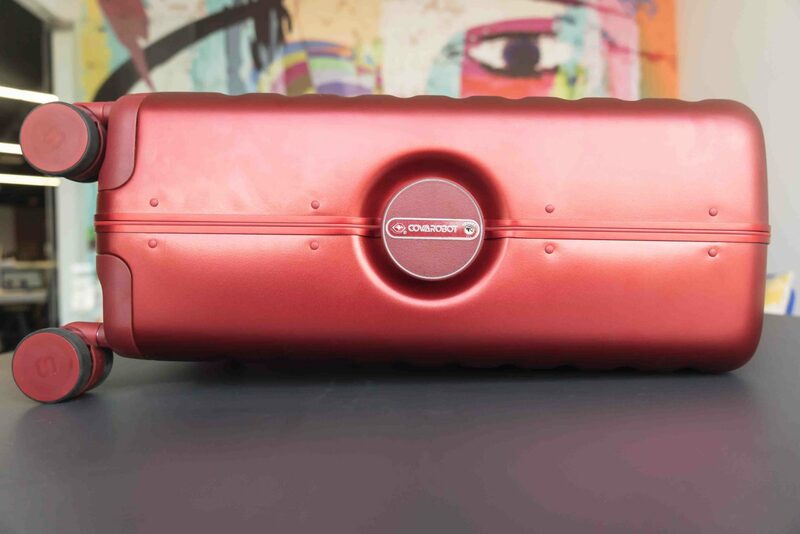 It has a battery inside the bag, a distance sensor on the hand bar, and an electric motor to power the wheels. The set up is simple, once we pop the battery in, the suitcase is ready to follow. To activate it, the user need to stand around 2 feet away and put his or her hand on the handle of the bag. 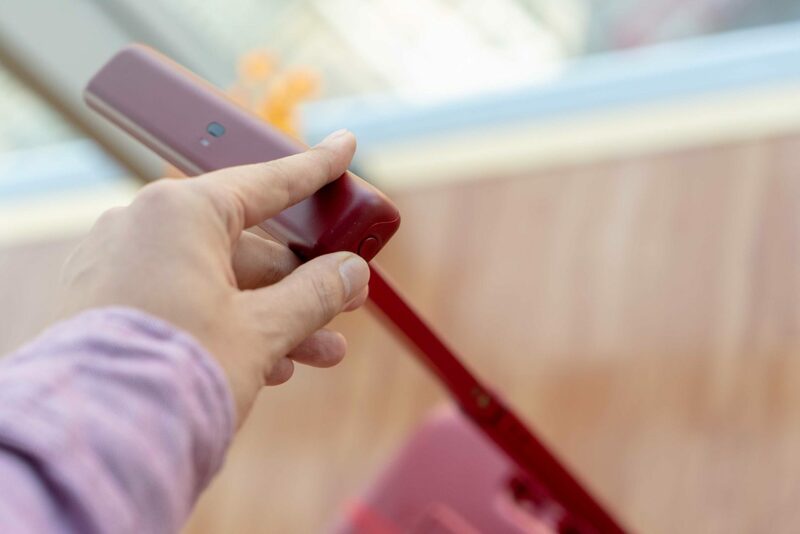 The sensor would lock on the user and the power wheels would come out like the airplane landing gear once you press the button on the handle to activate the motor. Then voila, you are ready to go. During our field test, it works great on smooth floors or light carpets. It follows the person consistently maintaining the 2 feet distance. It even preformed well in tight corners. However, once we take it outdoor, we realized it is not designed for the pavement or rougher surface. It has trouble getting over bigger cracks on the sidewalk. Strong daylight would also disrupt the sensor, causing it to lose the user. So if you were to get one, don’t expect it to follow you into the hotel from your car. However, we could see it might come handy when you are in an airport with your hands full. The company also built an APP, so if the bag is over 2 feet away, it will send an alarm to your phone. We also came up with our DIY solution for this, but you maybe lose a few points on the cool meter. We added an extra leash on the suitcase to put our mind at ease, and it seemed to work perfectly. 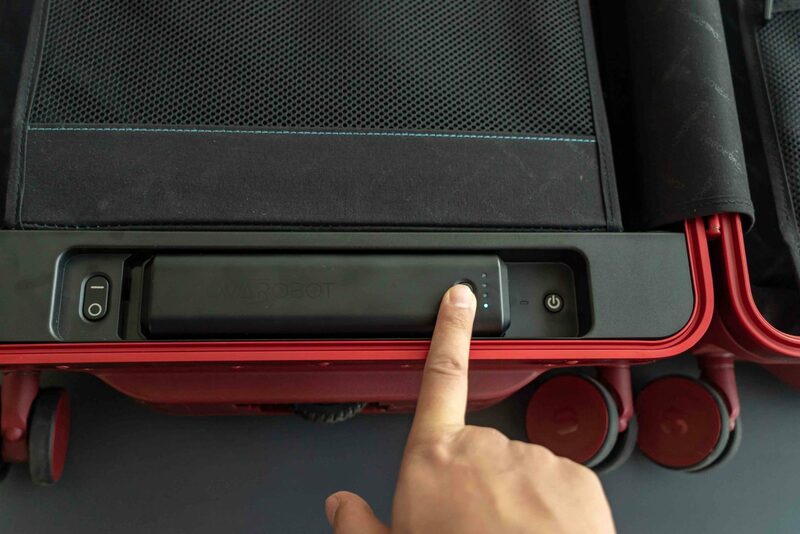 If the battery is low or you are walking outside, you can turn off the follow mode by tapping on the handle, and use it as a regular suitcase. 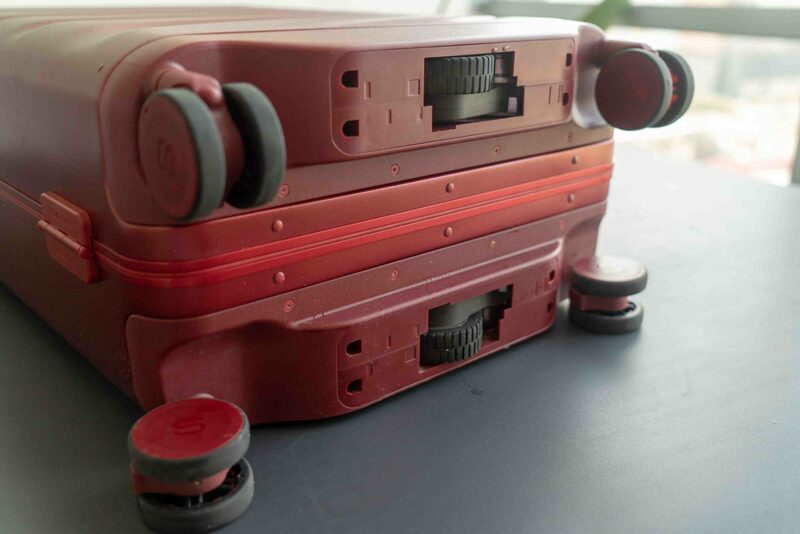 Another thing we really like about the luggage (more than the fact it follows people around) is its USB ports. 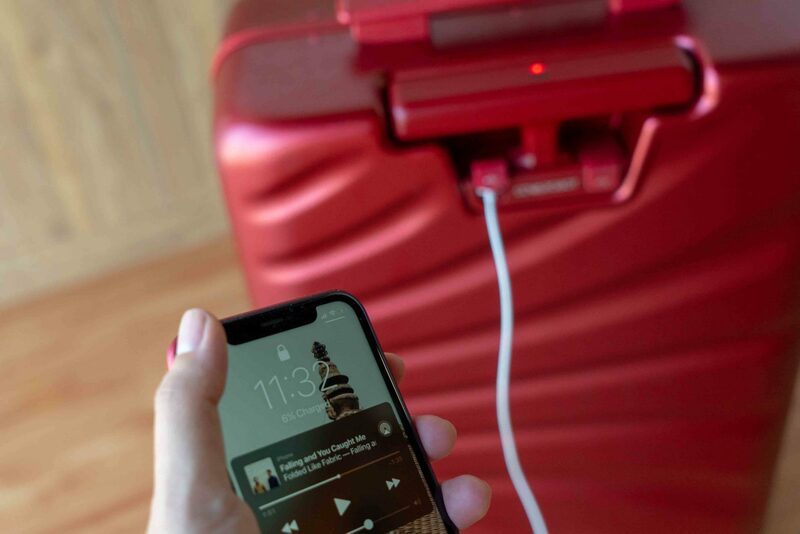 The battery inside the suitcase also works as a power bank. If you’ve traveled during the holiday season, you would know the art of socket war at the airport. 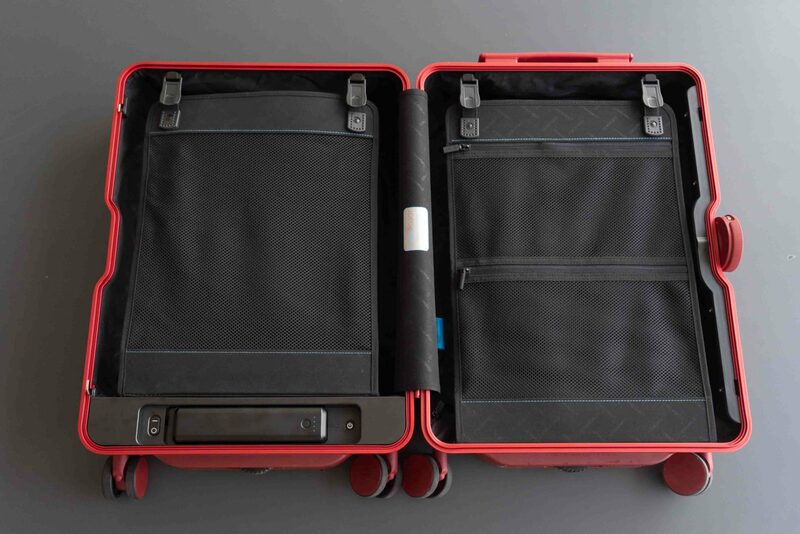 The bag itself feels like a regular suitcase beefed up with gadgets. 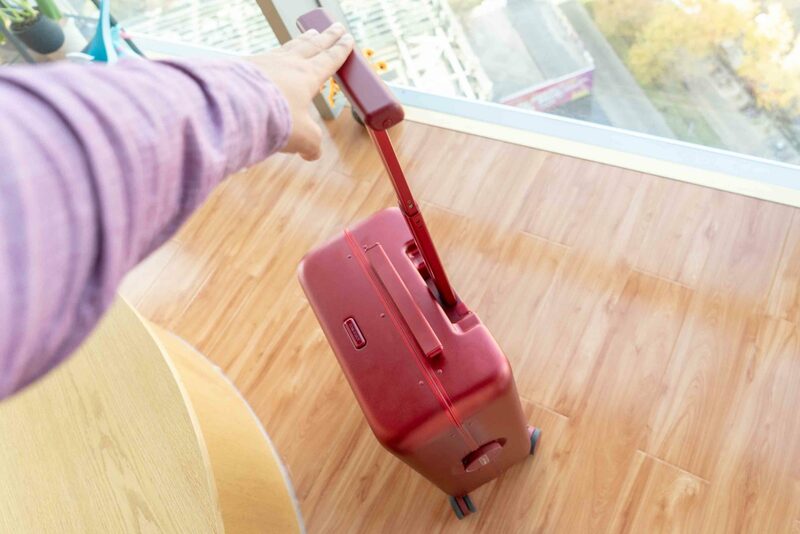 The 32 liter suitcase itself weigh around 12 pounds. The exterior looks and feels pretty sleek. 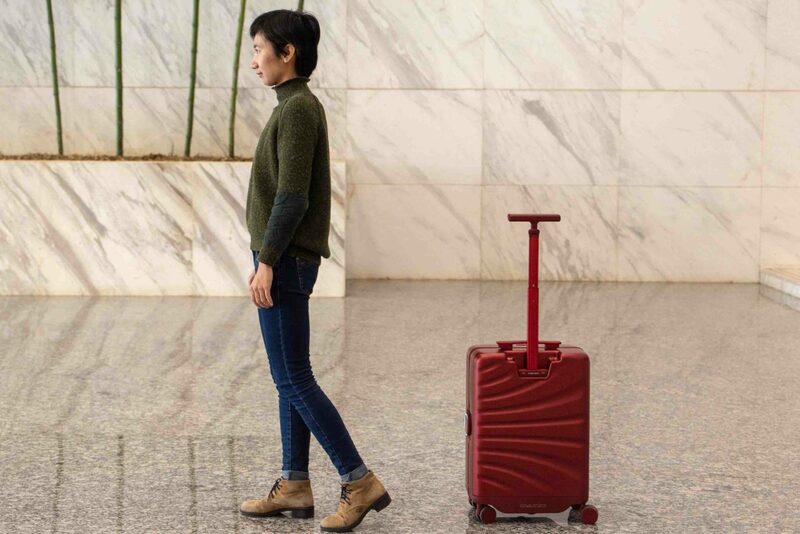 With one full charge, the suitcase can follow you for about 5 hours or 12.5 miles. 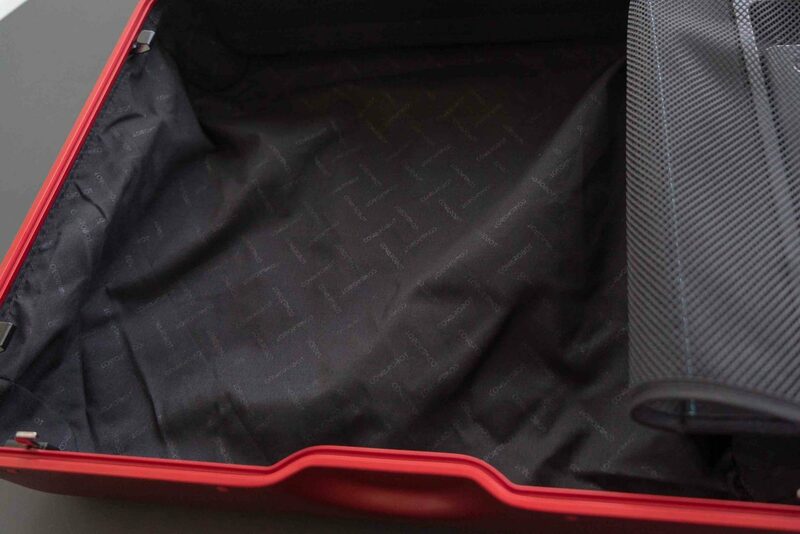 The manufacturer recommend to keep the luggage below 24 pounds. It doesn’t use zippers to lock the bag. Instead, it comes with a smart combination lock. The suitcase is TSA approved, but with all the extra gadgets, we are not sure how long it will last in the “gentle hands” of the airport staff. Our advice is to take it as a carry on. 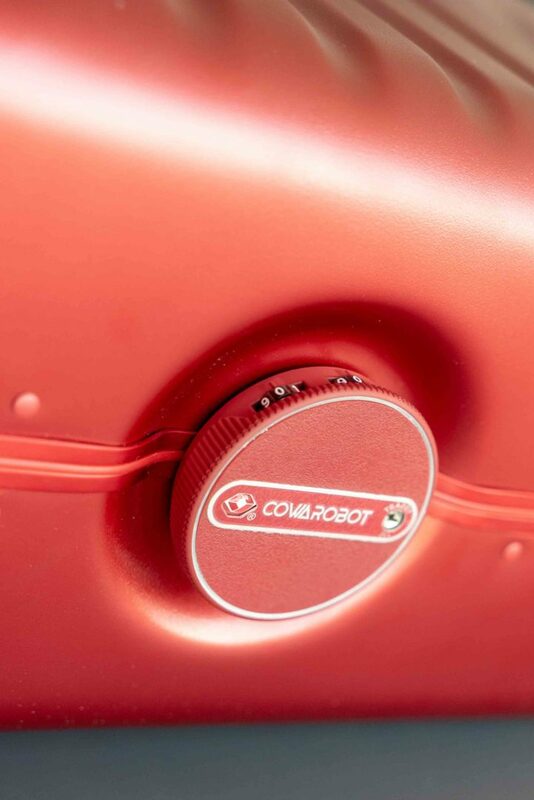 Overall, the Cowarobot rover is definitely turn some heads on the street. It is not overtly expensive, currently selling at $299 on Kickstarters. 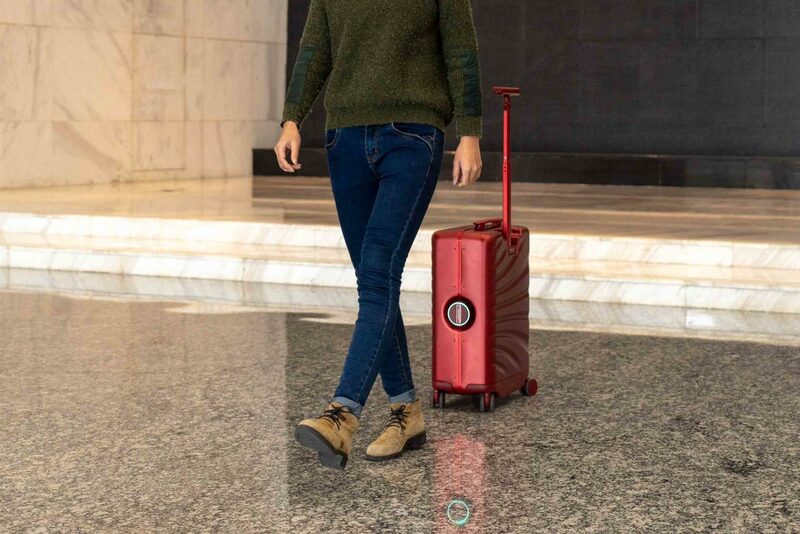 Even if the follow mode might end up more like a party trick, it is still a solid suitcase you can use to charge your device at the airport. Hi Surya, it has a light-sensitive distance sensor. In order to use it, you have to stand in front of it, and the system will use that light as a standard. That information gets coded into the system. The motor reacts to any changes that happen. Therefore, if the light is too strong, or any interference, it won’t be viable. Thanks for your great question! and stay curious! What is the price of the suitcases?